A science fiction fairytale about an extraterrestrial who is left behind on earth and is found by a young boy who befriends him. This Hollywood film from Director Steven Spielberg became one of the most commercially successful films of all time. E.T. 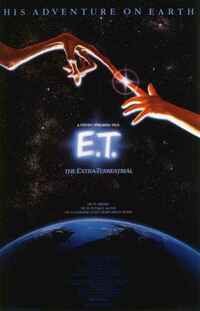 was one of the first films to use in film advertising during the scene where Kevin leaves a trail of Reeses Pieces to bring E.T. into his bedroom. They actually first asked M&M if they could use their candy yet they declined and Reeses was happy to help and would benefit greatly from it as their sales increased more than ever before.